Born in July, 1936, Shri Prakash Lall Jain hails from Jodhpur, Rajasthan. He received B.E. degree in Mechanical Engineering and M.Tech. degree in Production Engineering, specializing in metal-working processes, production management, total quality management, electronic data processing and computers. He has worked in industry, teaching, research and consultancy organizations for over 40 years, offering teaching and training programmes, technical know-how and consultancy services on quality management to engineering industries. He has widely travelled abroad, particularly, Japan on engineering assignments. Shri Jain has been an active member of several professional bodies and Bureau of Indian Standards. He is an author of four text books for graduate and post-graduate courses on the subjects like, Metal Casting, Tool Engineering, Production Management and Total Quality Control. He has presented over 25 technical and research papers at technical and management conventions and published about 60 papers in technical journals both in India and abroad. Born in 1956, Deedwana, Rajasthan to father Sri Prakash Lall Jain and mother Smt. Gulab Devi Jain. The families of his parents were acknowledged in Rajasthan for their social, professional and economic eminence. Religious practices were sincerely followed day in and out. He had his early education from Scindia School, Gwalior, then BS & G School, Allahabad in U. P. He obtained first class graduation degree from St. Xaviers College, University of Ranchi, Jharkhand. He actively participated in students union, sports and other curricular activities during his study days. Thereafter, joined A. F. Ferguson & Company, Chartered Accountants, Mumbai & qualified as a Chartered Accountant. After a few years of professional exposure working with Novex Engineering, New Delhi, Simplex Concrete Piles Ltd., Kolkatta, Ferro Alloys Corporation, Nagpur, Garvadhi, Andhra Pradesh & Bhadrak, Orrisa, he switched over to professional practice. Since 1984, he is practicing as a Chartered Accountant at New Delhi under the banner 'Tapuriah Jain & Associates'. Over a period of almost three decades, he has built a strong network of clients, servicing their needs in the field of personal taxation, corporate taxation, commercial, corporate laws and allied fields. The Government of Ukraine (erstwhile U.S.S.R) invited him to be the state guest to deliver lectures on economic issues. He has promoted several Social & Religious Institutions for the welfare of common masses. He is also the Founder President of Ahimsa foundation (www.jainsmaj.org) and the editor of “Ahimsa Times”. He has extensively traveled both in the country and internationally. He has conducted several live Television Programmes on Indian Taxation System. He is also regularly appearing in live discussions on Indian Budget as an expert with celebrated economists and seasoned politicians for his views on current economic affairs. All India Radio Service has also been broadcasting his lectures. He is an author to several articles on economic affairs, reforms and subjects relating to taxes, commercial law etc. His articles can be read on his Blog : www.anilkumarjainca.blogspot.com. A list of his prominent articles is placed herein below. Dr. Sulekh Jain was born in a religious family in Delhi. After obtaining B.S and M.Tech in Mechanical Engineering in India, he went to England in 1965 where he got his Ph.D. In 1969, he moved to United States of America and has lived in several places including Berkley, California, Worcester, Massachusetts, Cincinnati, Ohio and Houston, Texas. All along, Dr. Jain has been active in many religious and social activities within the Jain and non-Jain communities in the U. S. A and Canada. Dr. Jain is Founder / Co-Founder of several organizations and institutions in North America such as; Jain Center of Greater Boston (1973), Jain society of Houston (1981), Jain Digest Magazine (1985), Jaina Library (1988), Young Jains of America (1989), Jain Center of Central Ohio at Columbus (1991), Jain Academic Foundation of North America (1994), Mahavir World Vision Inc. (1994), Jaina Spirit International Magazine (1999), World Council of Jain Academies (1999), JVB Preksha Meditation Center in Houston (1999) and International Summer School for Jain Academic Studies ( 2004). During the last 40 years, Dr. Jain has served as President of Jain Society of Houston (1982-83), Jain Center of Cincinnati/Dayton (1987-89), Jain Academic Foundation of North America (1994-98) and JVB Preksha Meditation Center Houston, (2001-2002), Vice President of Mahavir World Vision Inc , Board member of Jain Society of Houston, World Council of Jain Academies, Jaina Spirit International magazine and Ahimsa Foundation, Mahatma Gandhi Library in Houston and Program Director of the International Summer School for Jain Studies. He has been intimately connected with the Federation of Jain Association in North America (Jaina) since its inception in 1981. From 1985-89, he served as its Secretary. In 1989 at the biennial convention of Jaina held in Toronto, Canada, he was elected its President, which he served for 4 years till 1993. During his tenure as Secretary and President, Jaina experienced a strong growth and name recognition throughout the Jain world (North America, India and many other countries). Following are just a few highlights of the new initiatives and programs that were started in Jaina during his leadership; Established and propagated Jain Digest. Created Jaina Matrimonial Information Service. Organized Scholar Visitation program. Established YJA. Initiated International Youth Participation. Created and formalized a separate YJA Convention. Established Jaina Library. Developed and preached the style and concept of a new non-Sectarian Jain Temple for North America. Created the concept of Jaina Charitable Trust. Started the Celebration of Ahimsa Day though out North America. Decentralized the workings of Jaina by establishing nearly 30 sub committees including Jaina World Community Service. This made Jaina a broad-based organization. Increased the membership of Jaina from 8 Jain Centers to nearly 50. Supported, produced and distributed 60-minute video on Jainism titled "Ahimsa". Formalized a system of regular Jaina Executive Committee meetings at various member Jain Centers through out the year including one every year at Siddhachalam. Jaina Youth Essay Competition was started during his times with Jaina. Jaina published English translations of 2 books (Jain Pratikraman and Aloyana) in addition to the re-publication of Jain Declaration on Nature. Dr. Jain established very strong links with many world Jain leaders and organizations for the growth of Jaina and its activities. Dr. Jain has traveled extensively in India, U. K, Europe, Asia and Australia, has visited many Jain Centers in the World, met many Jain leaders, Scholars and Sadhus world over, participated in many seminars and functions and has delivered many lectures at various gatherings (Jain and Interfaith) in USA, Canada and India. In 1990, along with other Jain world leaders, he led an U. S. Delegation to Buckingham Palace London for a meeting with H. R. H. Duke of Edinburgh regarding Jain Declaration on Nature. In 1993, he participated in the Parliament of Worlds Religions in Chicago and also presented a paper there. In November 1997, he presented a paper "Jainism; a Dynamic and Living Religion" and also represented Jainism at the Inter-Religious Federation for World Peace Conference held in Washington, D. C. In July 1998, Dr. Jain organized a World Conference on Jainism and Ecology at Harvard University, which was attended by many top Jain Scholars from USA, Canada, India and U. K including Dr. L. M. Singhvi and Late Dr. Nathmal Tatia. Prior to that, he had participated at 2 Conferences at Harvard University on Multi Culturalism and Pluralism and an International Seminar on Vedanta and Jainism held at Miami University where he made presentations also. In 1999, he participated in the International Seminar on Swami Umaswati and His Works held in New Delhi, India. In addition, he has also participated at several meeting on Animal Rights including the June 1996 March for Animals in Washington, D. C.
Dr Jain has authored several papers on Jainism and has provided help and guidance in the publications of at least 4 books on Jainism (Tattavartha Sutra by Dr. Nathmal Tatia, 3 books in French language, Lord Mahavira, Aspects of Jainism, The Jains today in the world) and a set of 8 pamphlets on various aspects of Jainism (published by Mahavir World vision, Inc.). In 1996 and 1997, He along with Dr. Surendra Singhvi taught a regular credit hour course in Jainism at University of Dayton in Dayton, Ohio. Most recently, he has been involved with improving education, teaching and Research programs in Jainology at PV Research Institute in Varanasi. He is also very active in many cultural, civic and religious organizations in Houston such as the Interfaith Dialogue, Unity Church Peace Makers Group and Interfaith Ministries of Houston. During his entire life, even though he was born in a particular Jain tradition (sect), Dr. Jain has believed, practiced, preached, propagated and supported whole heartily the concept and creation of a one unified, non sectarian, cohesive, dynamic, responsive, forward looking and visionary Jain Sangha in North America that is free from sectarianism and regionalism. Professionally, Dr. Jain is a Mechanical Engineer with an M.Tech from IIT Kharagpur, a Ph.D. from Birmingham University (U. K) and an MBA from Clark University. He has taught Mechanical Engineering at Punjab Engineering College, Chandigarh, University of California-Berkeley, Massachusetts Institute of Technology (M.I.T), Worcester Polytechnic Institute and Laval University, Quebec, Canada. Dr. Salgia is the founding president of Bramhi Jain Society U.S.A.; Asian American Association of the Tri-State Area, Quincy, Illinois; and Asian American Services Council of Columbus, Ohio and has served as its Director since 1994. In addition, he was a member of the board of trustees and first president of the Federation of India Community Associations of Northeast Ohio, Inc (FICA). He is a founder and past president of the Jain Society of Greater Cleveland, and has also founded and served as president of the International Mahavira Jain Mission (Sidhhachalam). He was the major force behind acquiring 108 acres of land in New Jersey for the National Jain Temple and Monastery, Siddhachalam. Dr. Salgia has also served as Chairman of the Great Lakes Regional Convention of the National Federation of Asian Indian Organizations. Dr. Salgia is the founding member of the Federation of Jain Associations in North America, Inc. (Jaina ) and has served four years as Vice President (1981 - 1985) and four years as President (1985 - 1989). Under his leadership of Jaina, Jain Digest, a quarterly magazine, began publishing and has gained a reputation throughout the world in the Jain community. He is the founding father of the Jain Digest published from U. S. Dr. Salgia is also a founding member and past president of the Asian/Pacific American Federation of Greater Cleveland, which is comprises, of nine Cleveland-based Asian Communities. He is also a founding member, Director and treasurer of Mahavira World Vision, Inc. Dr. Salgia is the founding member of the Asian American Community Service Council of Columbus, Ohio. Among his accomplishments, Dr. Salgia has written an essay entitled "History of the Asian-Indian Community in Greater Cleveland" for the Encyclopedia of Cleveland History, published by the Indiana University Press. During the past several years, he has published and edited numerous books and articles on Jainism and recently published a book entitled Jainism Nonviolence and Vegetarianism, and Chalo Jinalay Kare Bhavana, Mahaveer Vandana books of stavan and bhajans. He is a regular speaker on peace and nonviolence at local churches and other groups. Dr. Salgia was instrumental in raising needed funds to help defray the cost of the PBS documentary "Ahimsa: Nonviolence" which was released on PBS television stations across The United States in December, 1987. In 1990 Dr. Salgia, his two son's Anup and Amar and many youths and adults from Jain Center of St. Louis and from Chicago area jains were instrumental in crystallizing the idea for the formation of Young Jains of America (YJA). On May 22,2001 Dr. Salgia Participated in a history making Jain prayer in the United Stares House of Representative (Congress). On September 19, 2001 Dr Salgia organized Jain prayer in the Ohio Senate and spoke about Jain value of peace and non-violence and the tragedy took place in New York, Washington and Pennsylvania. In 1997 at the 9th biennial convention of the Federation of Jain Associations in North America (Jaina ), Dr. Salgia was honored for his services to the Jain community and awarded him the title of "Jaina Ratna" (Jewel of Jain Community) in Toronto, Canada. In 1999 Dr. Salgia co-founded an international Quarterly publication "Jain Spirit magazine" which has worldwide circulation where he serves as director and also coordinate North American activities for circulation and finance. By profession, Dr. Tansukh J. Salgia is coordinator of Internal Accounting Control Program at the Ohio Department of Health in Columbus, Ohio. Immediately preceding, he was Deputy Director/Chief Fiscal Officer at the Ohio Student Aid Commission in Columbus, Ohio (1993-1997). Dr. Salgia received an undergraduate degree in business administration from Vikram University in India, his M. B. A. from Atlanta University and his D. B. A. from Columbia Pacific University. He also attended the Society of Incorporated Accountants and Auditors of India, The Institute of Book keepers in London, Accreditation Council of Accounting (Washington D.C.), and the Government Law College at the University of Bombay. In 1992 Dr. Salgia was appointed by the Mayor and the Quincy City Council as commissioner to serve on Quincy Economic Development Loan Committee. Further more in years 1994 and 1995, Dr. Salgia was the co-chair for the Combined Charitable Campaign (United Way) for the Ohio Student Aid Commission in Columbus, Ohio. Dr. Salgia was instrumental in repealing a one hundred-year-old law in Illinois, which prohibited the ownership of real and personal property by aliens. Single-handedly he worked hard for almost two years until September 1992, when HB 3794 was signed into law by the Governor of Illinois. In 1996 Dr. Salgia was appointed commissioner, by the Mayor City of Columbus to serve on Columbus Area Cable Television Commission. Born on 30th January, 1950 at Jodhpur, Rajasthan. He studied law C. A., C. S. and Personnel Management from Jodhpur, Jaipur and Delhi. Since 1973, associated with a large industrial house at New Delhi as top management executive in charge of Finance and Investments. He has dedicated his life for the upliftment and welfare of poor, destitute and handicapped people. He is Founder Chairman of Talent Foundation of India (an organization engaged in identifying and grooming the upcoming but unrecognized talent in the society). He is also Vice-Chairman of "Society for Welfare of Mentally Handicapped, Jaipur", which is running a well equipped school and hostel for the care and training of mentally handicapped children at Jaipur. He has been the General Secretary of "Delhi Pradesh Marwari Sammelan, New Delhi". He has been the Secretary General, Executive President and President of Rajasthan Mitra Parishad, New Delhi - a highly reputed and one of the most popular organisation of Rajasthani people settled in Delhi - engaged in regular social get-togethers, cultural events, holding eye camps, blood donation camps, helping destitute and other social, charitable & welfare activities in Delhi and Rajasthan. Shri Virendra Mehta is also honorary Secretary and member of the board of Governors and Management Council of Mody Institute of Education & Research - a premier institution established for women's education on a vast are of over 250 acres of land at Lakshmangarh, Sikar, Rajasthan having a huge campus consisting of a school, a degree college, a college for computer courses, and engineering college and a college for management studies. He has been writing and composing number of Bhajans and poems. During the Kargil war he had written several poems and published a book "Ranbheri Phir Lalkar Rahi" to pay his homage to the martyrs who have sacrificed their lives to our motherland. The book has been well received and highly appreciated by all the sections of the Society. His yet another book "Sarva Mangal Mangalyam" is based on spiritualism and for upliftment of fast eroding religious and moral values. Doordarshan and Akashvani have been telecasting of broadcasting his poems from time to time. He has a rare and extraordinary quality to create his poems spontaneously on any situation. His poems are regularly published in many prestigious newspapers and magazines of the country. He has been participating at various "Kavi Sammelans" at national level. Mr. G. C. Gandhi son of late Shri Man Chandji Sb. Vaidhya, (A renowned Ayurvedic Physician of Jodhpur, Rajasthan) an engineer by qualification deeply interested and promoting Jainism and Philosophy of Ahimsa. Born, April 4, 1944, completed Engineering degree in Civil from Vidisha Engineering College, Madhya Pradesh. Served the Government of Rajasthan in irrigation department from 1968 to 2002, while in service deeply involved in famine relief activity. Supervised construction and maintenance of several irrigation dams and canals to harness the rain water for irrigation, also worked at Indira Gandhi Canal Project. After retirement from active service, involved in social activities at Bhilwara, Rajasthan. Wife Mrs. Pushplata Gandhi is Vice Principal of Bhilwara Girls College, Bhilwara, Rajasthan and also actively involved with several social and charitable organisations in Rajasthan. Contact Address : Irrigation Bungalows, Behind Session Court, Bhilwara, Rajasthan - 311001, Tele : 231035. Dr. Narendra Jain is promoter and founder of City Hospital at Jodhpur. Father Lt. Sh. Sukh Lalji Jain was always an inspiration in life and that motivated him to be always conscious of the sense of responsibility towards the society. All through his studies he had a brilliant academic record. Passed Hr. Sec. from Sardar School, a premier educational institution with distinction and a Gold Medal. During his studies, he was honoured with National Scholarship. The academic brilliance was reflected during his MBBS study and later during Master's degree in Surgery. Dr. Jain has special penchant for Plastic & Burn Surgery, a subject in which he has published several papers & represented in conferences. He is a member of National Academy of Burns, India, IMA, Association of Surgeons, India & AMPOZ, besides closely associated to social, cultural & religious group of the town. He has been awarded by State Govt. for excellent work in Family Welfare in year 84-85. Presently as a Director of City Hospital & S. L. Jain Research Centre he is devoted to patient care & surgical practice. Dr. Jain is associated with Ahimsa Foundation and its project www.jainsamaj.org right from the stage of conception of idea of a Jain web portal in 1997. Address: City Hospital, High Court Colony, Residency Road, Jodhpur, Rajasthan. Mr. Benadi was born in a Jain business family in Chinchali, Belgaum district, Karnataka in the year 1939. He had his schooling at Gokak, from where the great Acharya Payasagar came. Gokak is also next to Konnur, well known for the Jain caves, where the great Acharya Shantisagrji used to meditate. After finishing his secondary school from Gokak with flying colours, Mr. Benadi went for higher education to Lingaraj College, Belgaum and Willingdon College, Sangli from where he passed Intermediate Science with first class. Mr Benadi graduated in Civil Engineering from College of Engineering, Pune. After Graduation, Mr Benadi joined the Central water and Power Research Station Pune in the year 1962 and also worked for the atomic Energy Establishment, Trombay, Mumbai, and a private firm of consultants until 1965. He then went to U. K. in the year 1965 and worked for a firm of Chartered Architects in London as Structural Engineer until 1970. 1970, Mr. Benadi went to Germany, where he settled down. He joined a firm of structural consultants near Hamburg in the year 1976 as a Senior Engineer and later on rose to the position of Project Manager for overseas projects. He retired from this position recently in July 2004. Mr. Benadi went to Iran, Korea, Malaysia and Japan in connection with the projects coordinated by him. Mr. Benadi is a Life Fellow Member and Chartered Engineer of the Institution of Engineers India, Fellow Member of the American Society of Civil Engineers and Member of the German Society of engineers, VDI (Germany). In the year 1988, Mr. Benadi co-founded the Jain Association International (Germany) e.v. of which he is the President since the year 2000. He has tried to present the universal principles of Jainism to the German Public through lectures on Internet and articles in German language. He had the fortune of learning Tatwartha Sutra and and Dravya Sangraha in his schooldays and this has helped him to search for the ultimate Truth. He also attended Jaina conferences in 1989 and 1993 in U. S. A. as well as two world Jain conferences in Delhi. Mr. Benadi had the privilege of having several Sadhus and learned people as guests In his home( Acharya Sushil kumar, Amarendra Muni, Samans and Samanis of Achrya Tulasi Group, Bhattaraka Swamis, Dr. Sneha Rani Jain, Dr. Prem Suman Jain). Mr. Benadi also has studied Indian Astrology and has been giving astrological advice. He is also member of the Planetary Gem Advisory Association, Bangkok. Dr. S. Cromwell Crawford is the Chairman and Professor of the Dept. of Religions at University of Hawaii, Honolulu. He has been there for thirty years and has guided many Ph.D. students in religious studies. 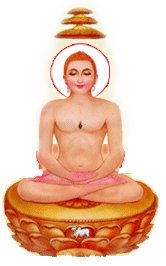 He is a pure vegetarian and follows principles of Jainism. He is author of many books and research papers. Regularly invited to speak in Jaina and YJA conventions. He is an advisor to Jain Spirit magazine, Ahimsa Times, Jain web portal www.jainsamaj.org (Ahimsa Foundation) and several other religious institutions. Dr. Cromwell has done significant and somewhat pioneering research in Bioethics and Hinduism. He wants to present the same subject from Jain perspective. His latest two books on Bioethics and Hinduism were Published By State University of New York Press and have been best sellers. Dr. Crawford is familiar with India, Indian culture and can speak Hindi also. Dr. Crawford was born at Jhansi, Madhya Pradesh. His parents were English in British army. His wife is a neurosurgeon from Hungary. Dr. Cromwell has been to India many times and also has been invited and decorated by Govt. of India. 1966 Doctor of Theology, Pacific School of Religion, Berkeley, California. 1959 Master of Arts (Philosophy/Ethics), Indiana University, Bloomington, Indiana. 1952 Bachelor of Divinity (Theology/Philosophy/History of Religions) with Distinctions, Serampore University, West Bengal, India. 2001 Chairman, Department of Religion, University of Hawaii. 1999 Graduate Chair, Department of Religion. 1992-96 Director, Center for South Asian Studies, School of Hawaiian, Asian, Pacific Studies, University of Hawaii. 1988-91 Chairman, Department of Religion. 1979-82 Graduate Chairman, Department of Religion. 1952-54 Lecturer, Union Theological College, Pune, India. The Hastings Center, Institute of Society, Ethics and the Life Sciences, NY. 1972 School of Oriental and African Studies, London. 1979 Fellow, Tata Institute of Social Sciences, Bombay. 1992 Fellow, Department of Anthropology, San Paulo University, Brazil. 1978 Citation by Senator Daniel Inouye, U. S. Senate, for first U. S. Conference on "Islam and Its Impact on Today's World, during "Hostage Crisis in Iran." 1971 Citations from Mayor Frank Fasi and Governor John Burns, for first conference in Hawaii on Religion and the Environment. 1966, 1968 Excellence in Teaching and Community Service Awards, UH. English, Latin, Greek, French, Hindi, Sanskrit. 2003 Hindu Bioethics for the Twenty-first Century, State University of New York Press. 1986 In Search of Hinduism, ed., Rose of Sharon Press, New York. 1985 Ram Mohan Roy, revised edn., Paragon House, New York. 1984 Raja Ram Mohan Roy: His Era and Ethics, Arnold Heinemann, New Delhi. 1982 The Evolution of Hindu Ethical Ideals, revised edn., University of Hawaii Press, Honolulu. 1985 Reprint: Arnold Heinemann. 1974 The Evolution of Hindu Ethical Ideals, Firma K. L. Mukh Opadhyaya, Calcutta. New Testament; History of Christianity, Modern Christian Theology; Professional Ethics. Current : Christian Ethics; Comparative Ethics, Health Care Ethics in World Religions, World Religions, Religion and Medicine in World Religions; Religion and the Meaning of Existence, Understanding Indian Religions, Death and Dying. Lecture Series, Millikin University, New Jersey, April 22-24. 2003 "Hindu Perspectives on Bioethics in the Western World," Bioethics Grand Rounds, Center for Christian Bioethics, Loma Linda University, Feb. 12. 2001 Lectures on "Comparative Medical Ethics," by invitation of Centre of Oriental Philosophies, Russian Academy of Sciences, Moscow, October 16-23. 1999 "Hindu Bioethics for the 21st Century," delivered at University of Lucknow, University of Calcutta, University of Delhi, University of Bombay, National Lectures sponsored by Indian Council of Philosophic Research and the Government of India. 1992 "The Ethics of Ayurveda," All India Ayurveda Conference, Shri R. Venkataraman, President of India, Chair, New Delhi. 1992 "Spirituality and Ecology," Department of Anthropology, San Paulo University, Brazil. Glenn D. Paige (born 1929 in Brockton, Massachusetts) is professor emeritus of political science, University of Hawai, and is founder- president of the nonprofit Center for Global Nonviolence in Honolulu (1994). He was educated at Phillips Exeter Academy, Princeton (A.B. ), Harvard (A.M.), and Northwestern (Ph.D.). He has taught at Seoul National University (1959-61), Princeton (1961-67), and the University of Hawai (1967-92). In Hawai he introduced undergraduate courses and graduate seminars on political leadership and nonviolent political alternatives. A Korean War veteran, he is the author of The Korean Decision : June 24-30, 1950 (1968), The Scientific Study of Political Leadership (1977), To Nonviolent Political Science : From Seasons of Violence (1993), and Nonkilling Global Political Science (2002) which is being translated into 24 languages including Arabic, Chinese, French, Hindi, Russian Spanish, Tamil, and Urdu. The full English text and six other books on nonviolence, including Nonviolence in Hawaii's Spiritual Traditions (1991), Buddhism and Nonviolent Global Problem-Solving: Ulan Bator Explorations(1991) and Islam and Nonviolence (1993) can be found on the Center for Global Nonviolence website www.globalnonviolence.org. He was introduced to Jainism in 1987 by Acharya Tulsi and Yuvacharya Mahapragya and studied preksha meditation taught by Muni Mahendra Kumar and Swami Dharmananda at the Adhyatma Sadhana Kendra in Mehrauli. He is a recipient of the Dr. G. Ramachandran award for international understanding (1986), the Jai Tulsi Anuvrat award (1995) and the distinguished career award of the Ecological and Transformational Politics Section of the American Political Science Association (2004). Dr. Jag Humar, Distinguished Research Professor of Civil Engineering at Carleton University, Ottawa, Canada has had an outstanding academic career. He received his B.Eng. and M.Tech degrees in India with top honours and a gold medal for first rank in the University. In 1971 he received the Canadian Commonwealth Scholarship for pursuing doctoral studies in Canada. In 1974 he obtained a Ph.D. degree from Carleton University, Ottawa, Canada. During his studies at Carleton, Dr. Humar received several other awards including the Epstein Scholarship for outstanding graduate work. After a brief stay in India, Dr. Humar returned to Canada to join a faculty position in the Department of Civil Engineering at Carleton University in 1975. Dr. Humar became a full professor in 1983, and served as the Chairman of the Department of Civil and Environmental Engineering from 1989 to 2000. Dr. Humar has had an outstanding record in teaching. In 1992, he became one of the first recipients of Carleton University's Teaching Achievement Award for his excellence in teaching and his contribution to teaching development. Along with teaching and academic administration, Dr. Humar has also been active in engineering consulting. He served as a special consultant for several outstanding civil engineering projects, including the National Aviation Museum in Ottawa and the Sky Dome in Toronto. In 1989 he received along with his co-authors the prestigious Gzowski medal of the Canadian Society for Civil Engineering for a technical paper on the design of Sky Dome. Dr. Humar has served with distinction on the Canadian Society for Civil Engineering, as well as on several other professional societies including the Engineering Institute of Canada, and the Indian Society for Earthquake Technology. In 1987 he was elected a Fellow of the Canadian Society for Civil Engineering (CSCE) in recognition of his excellence in engineering, and for services rendered to his profession and to Canada. In 1993, he was elected a fellow of the Engineering Institute of Canada. In 2000 he received the Whitman Wright Award of the Canadian Society for Civil Engineering for his outstanding contribution to the application of computers in civil engineering. In 2003 the CSCE selected him for the prestigious A.B. Sanderson award for his outstanding contributions to structural engineering in Canada. Dr. Humar's main research interest is in structural dynamics and earthquake engineering. He has published over 100 journal and conference papers in this and related areas. He is also the author of a book entitled "Dynamics of Structures," published by Prentice Hall, U. S. A. in 1990. The second edition of the book has been published by Swets and Zetlinger of Netherland in 2002. In February 2000 Dr. Humar led a Canadian Scientific mission to Gujarat to study the damage caused by the Bhuj earthquake. Dr. Humar's research in earthquake engineering has been recognized both nationally and internationally. In 1998 Carleton University elected him as the year's Davidson Dunton Lecturer for the international recognition of his research. In 2000 he won the Research Achievement Award of Carleton University. In 2002 Carleton University appointed him to the position of Chancellor's Professor for his research and his contributions to the university, both of outstanding merit. On his retirement in July 2003 he was named Professor Emeritus by the University. The University also appointed him as a Distinguished Research Professor in recognition of his continued research activity and graduate supervision. Dr. Humar serves as a field referee for many international journals including the ASCE Journals of Structures and Engineering Mechanics, the Journal of Sound and Vibration, and the Journal of Structural Dynamics and Earthquake Engineering. For 7 years he served as an Associate Editor for the Canadian Journal of Civil Engineering. Dr. Humar is a member of the Canadian National Committee on Earthquake Engineering, an advisory body for the Seismic Code of Canada. He is also the Vice President of the Canadian Association for Earthquake Engineering. Dr. Humar is an active member of the community. He serves as the President of the Jain Society of Ottawa Carleton and a member of Ottawa's Multi-faith Council. He is sought after by various faith groups to speak on the principles of Jainism. He was an invited speaker at the Cincinnati convention of Jaina, where he presented a talk on Contribution of Jainism to Science and Mathematics. Dr. Humar is one of the founders of an ambitious project on Women Empowerment located in Udaipur, India and is actively involved in its operation. The project is now in its fourth year of operation. It provides subsidized or free lodging and boarding to about 70 women beneficiaries from the groups of widows, destitute women, and young women from villages and small towns around Udaipur who wish to pursue post secondary education in Udaipur. Besides providing boarding and lodging the project arranges appropriate skill development and/or post secondary education opportunities for the residents. It also runs in-house seminars, courses and other activities for the enhancement of self-awareness, personality development, and physical fitness. The project was recognized by the Canadian International Development Agency through a 3-year financial grant in support of the project. As a part of the project, M. R. Minda Trust, the founder and manager of the project, is also developing a replica of the "Samavsaran" of Lord Mahavir. It is an open-air park that is unique in its conceptual design. In addition to his academic and community work Dr. Humar takes part in many extra-curricular activities. He is well known for his poetical works in Hindi and has published a book of poems entitled "Jeevan ke Rang". Born in Zanzibar, Tanzania. Completed High School under University of Cambridge and post secondary education in India and England. Began career as a Customs Officer in Government of Zanzibar. Moved to Dares Salaam, Tanzania where he joined Comcraft Services Limited, London, England. Immigrated to Canada in 1980 and joined Grant Mac Ewan College, managing Material Management Department of the college. - Awarded Community Services Award by Alberta Gujarati Association in 2001. After brilliant studies at ALBI, Pierre went to the University of Toulouse to study Law. He his Master in Law and has a High Certificate of Local Government Administration. After having been Deputy Chief Executive of Melunin the South of Paris, he became Chief Executive of Beauvais a town twinned with Maidstone ( Kent ) and after of the Great District of Metz, the chief-town of Region Lorraine. Passionate by India Yoga practice, he learned the existence of Jainism by his master of Yoga (a Brahman}.He established links with Shri Satish Kuma Jain, Secretary Genera1 of "Ahimsa Tnternationa1" in Delhi who initiated him to the tenets of Jainism and who sent him "Ahima Voice" a quarterly very well done and numerous books on Jainism in English he translated and was greatly impressed by. He established links with Dr. Bhuvenendra Kumar in Canada who invited him with his wife to the Jaina Convention in Pittsburgh in 1993. Here; he was greatly impressed by the kindness of participants and by a11 the speaches on Jainism. It is on that occasion he made acquaintance with Dr. Sulekh Jain and since they I became great friends. Absolutely conquered by this faith, he studidany books and reviews, took part to Jain meetings in London, made acquaintance with Atul Shah, Alkit Malde and many other Jains who became in regular contacts with him. Seeing that Jainism is totally ignored by common people in France, he made acquaintance with great Scholars/Madame Colette Caillat and Madame Nalini Balbir, and decided with their help and that of Dr. Sulekh Jain to publish in 1998 his translations into Franch of "Lord Mahavira" by Book Chand and in 1999 of" Aspects of Jaina Religion" by Dr. Vilas Sangave. Being now retired in NICE, Pierre Amiel decided to study sanscrit and hindi and to publish a book into French on "Jains in the world today". He spent many time to co11ect matter, bought a computer and pub1ished the book in 2003 with the help of Madame Caillat, Nathubai Shah, Dr. Sulekh Jain and Alkit Malde. Pierre Amiel has contributed to the launching of "Jain Spirit" and written various articles on Jainism in French magazines, such as "Actualite des Religions" and "Yoga et Vie". He afforded too his he1p to the translation into French of many chapters of the site web "Jainworld". He has a huge collection of books, magazines and copies of Jain sites in English and possesses a home caitya with Parshva, Mahavira and many. Jain artifacts. Now, he works on the translation of his book into English with the help of Alkit Malde and prepare an article on "Jaina Yoga". Pierre Amiel is Chevalier de la Legion of Honour (the highest decoration in France), Officer of French National Merit, Officer of "Palmes Academiques" (a medal for his great contribution to training of Local Government Employees and Officers). He has also the Golden Medal of Local and Regional Administration and of Trade Unions as past President of a European Union with NALGO and other apolitical unions. Positions Held In Organisations Engaged In Community And Social Service In The Fields Of Education, Health And Medicine. Born on 17th October, 1945, Mr. Jain Obtained M.Com, and LL.B. degrees in First Class First with Gold Medal. Joined State Administrative Service in 1968 in the Government of Madhya Pradesh and promoted into IAS in 1983. 1. Secretary, Madhya Pradesh State Election Commission, Bhopal. 2. Collector and District Magistrate, Hoshangabad, Vidisha and Betul Districts. Established Building Centres at Hoshangabad, Vidisha and Betul which are providing training in building activities to illiterate and semi-literate rural youths. 3. Director, Public Instruction, Government of Madhya Pradesh, Bhopal Management of 3 Lakh Officers and Teachers, and Educational Institutions and Projects. 4. Director, Bhopal Gas Tragedy Relief and Rehabilitation. 5. Additional Commissioner, Madhya Pradesh, Tribal Welfare. 6. General Manager, Madhya Pradesh State Road Transport Corporation, Monitoring, Reviewing and Evaluating the Operations, Income and Expenditure and Management of about one Lakh personnel. 7. Deputy Secretary to Government of Madhya Pradesh, Housing & Environment Department, Bhopal Monitored, Evaluated and Supervised the World Bank Projects, Urban Development and Housing Projects, Environmental Management in the State of Madhya Pradesh. 3. World Wide Fund for Nature : India life Member. 5. The Indian Institute of Public Administration, Indraprastha Estate, Ring Road, New Delhi : Life Member. 6. The Indian Law Institute Bhagwandas Road, New Delhi - 110001 : Life Member. 8. Central India Law Institute, Jabalpur, Life Member. 10. The Indian Academy for Environmental Law, Conservation and Research, 6, Akbar Road, New Delhi - 110011 (Since 1981). 11. The Institute of Constitutional and Parliamentary Studies, 18-21, Vithal Bhai Patel House, Rafi Marg, New Delhi 110001 (Since 1983). 13. Indian Environment Congress Association, New Delhi (Since Inception).